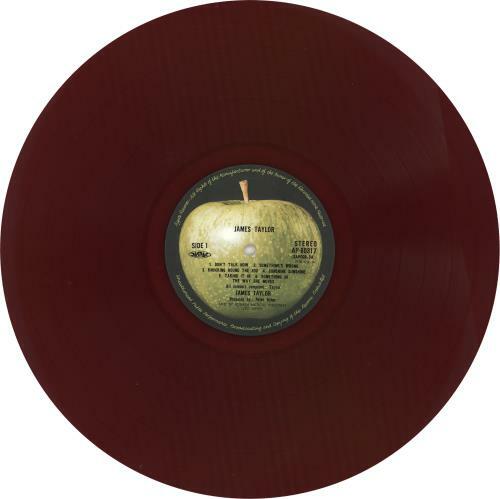 JAMES TAYLOR James Taylor (1969 Japanese Apple label Toshiba first press 12-track stereo LP on Wine Red Vinyl, housed in a deluxe gatefold picture sleeve with Japanese text insert, die-cut jet black inner & scarce Apple medallion shaped obi-strip. The sleeve appears Near Mint & each panel inside & out is clear with no foxing or markings. The obi is Excellent [very faint crease to the medallion] & the vinyl appears Excellent with a deep sheen both sides & just a few faint paper hairline scuffs not affecting play. Very hard to find in this complete first state AP-80317). 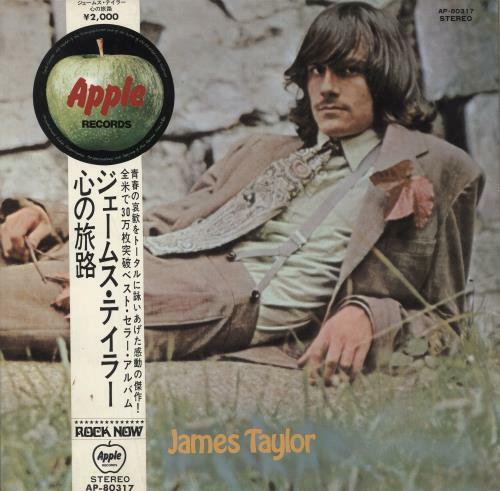 or visit our James Taylor image gallery.